Just a bunch of crazy kids who are sold out for Jesus. 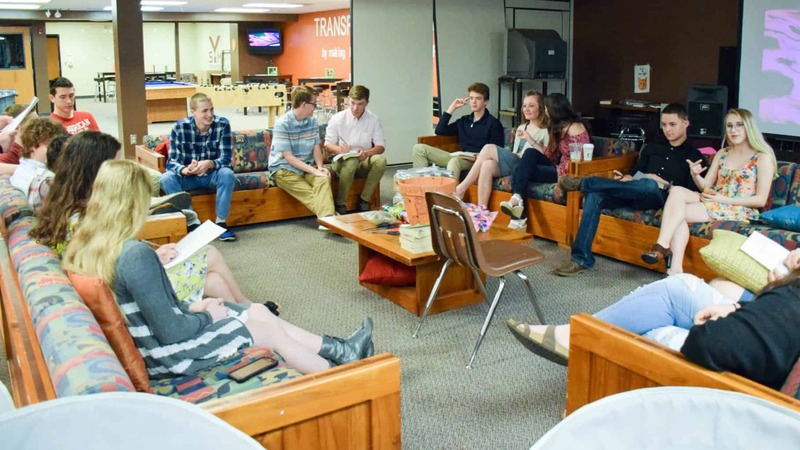 During the school year, from 6:00 to 8:00pm, there's free dinner, games, worship, and time to hang out as well as small group discussion on various faith topics. Youth will divide into small groups according to their age and gender. 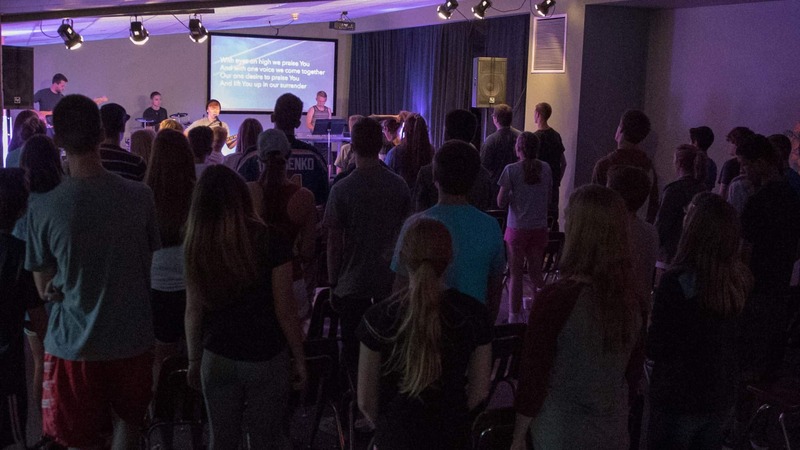 Every Sunday morning, we provide a fun, loving environment at 9:40am. We open the Youth Area at 9:15 on Sunday mornings for some time to relax, grab a coffee or hot chocolate, and chat with your friends. After this, students are divided into small groups of the same grade for relevant Bible teaching. Passionate youth leaders are there to make this a fun and meaningful experience. We can’t wait to see you on Sunday mornings to dive into scripture with us! 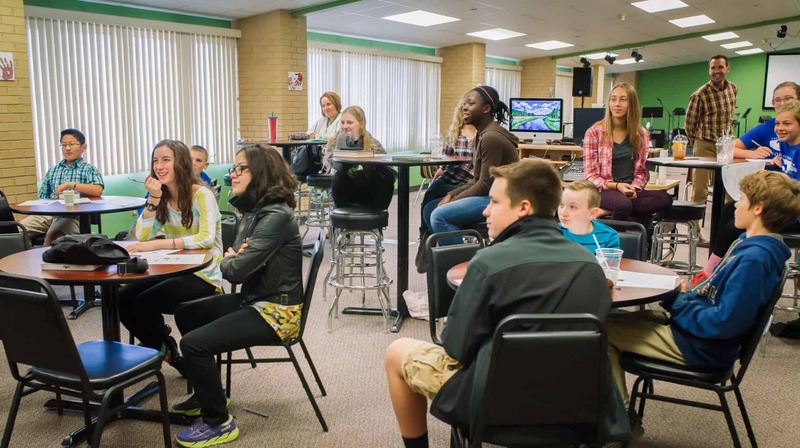 Our goal for Confirmation at SUMC is for Parents & Students to come to know Jesus Christ in an intimate way and to become Disciples of Jesus Christ through membership at Schweitzer UMC. Confirmation class is at 9:40am on Sunday mornings for 7th & 8th graders during the school year. 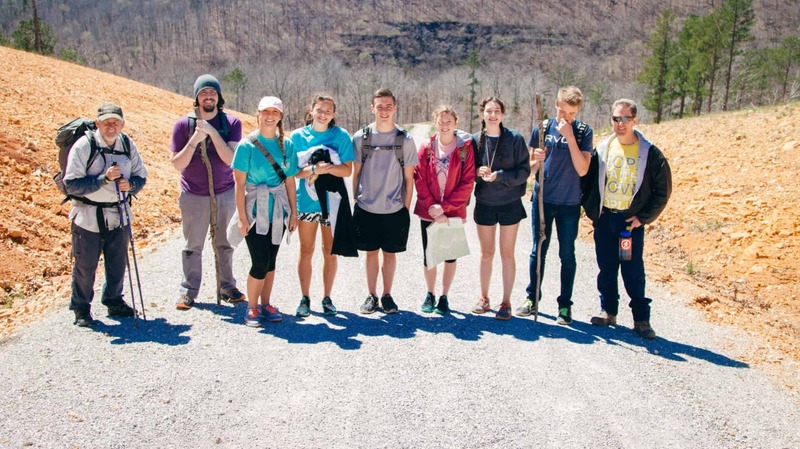 Each year we have a number of different trips that we take with our students—a High School and Middle School Retreat, a High School Mission Trip and Summer Camp. Click the button below to make sure you're signed up for these can't-miss events! 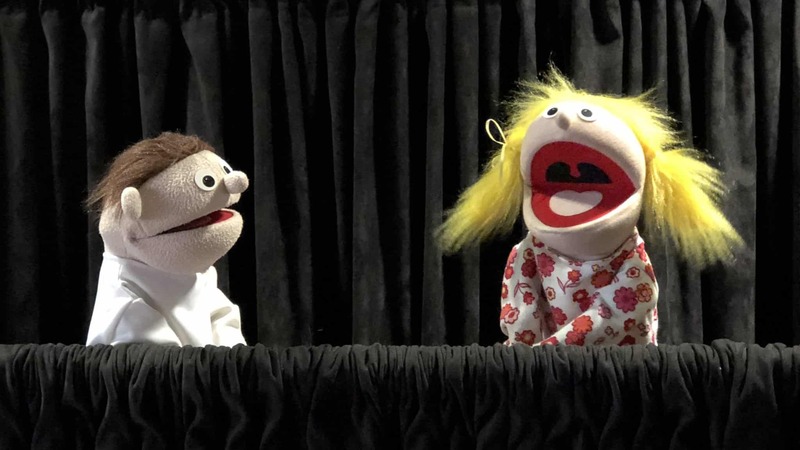 The Puppet Ministry is about praising God and sharing His love with others through puppetry and is a unique way that our youth minister to our younger kids and the community. We perform a show for Christmas, Easter, and a summer show that we take on tour. All youth are welcome. No experience is necessary to join. Practices are Sundays from 6:00 to 7:00pm in the Kids Worship room. For more information contact Carol Robinett at (417) 569-6795 or cmrobinett@yahoo.com. 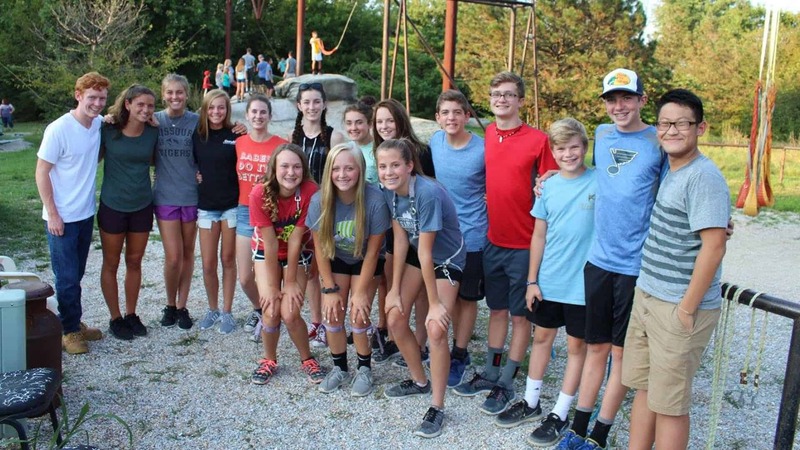 During the summer months, Schweitzer's Youth Ministry provides multiple events & activities for our 7th-12th grade students. These events are designed to keep students engaged with each other over the summer months as school is out and students have more time on their hands. Got questions? We've got answers. Want to sign up for the Parent Newsletter? Maybe you want to get involved by being a Small Group leader? Simply fill out the form below to get in touch with our Youth Ministry team. 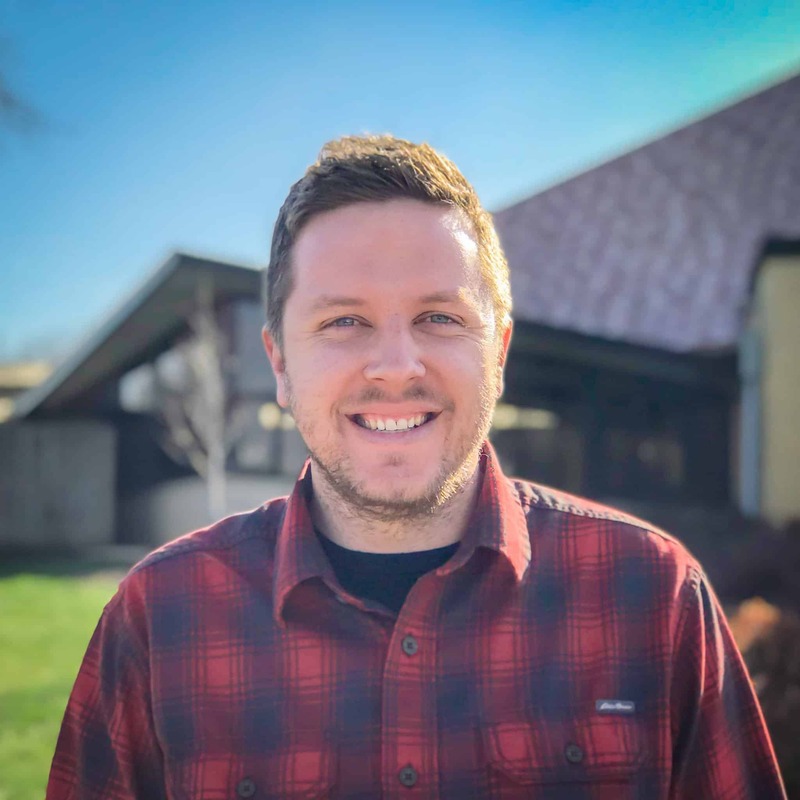 ”Seeing teenagers get engaged in their faith and being able to unleash their God-given potential inside and outside the church walls keeps me passionate about youth ministry."